Here is a quick and easy activity that I have been doing with my little guy for strengthening and gross motor play. I tend to be a person that likes things that are very simple. When they are simple I seem to be more willing to do the activity or set-up the activity. That’s why I love this activity for strengthening as well as the benefit of sensory input. 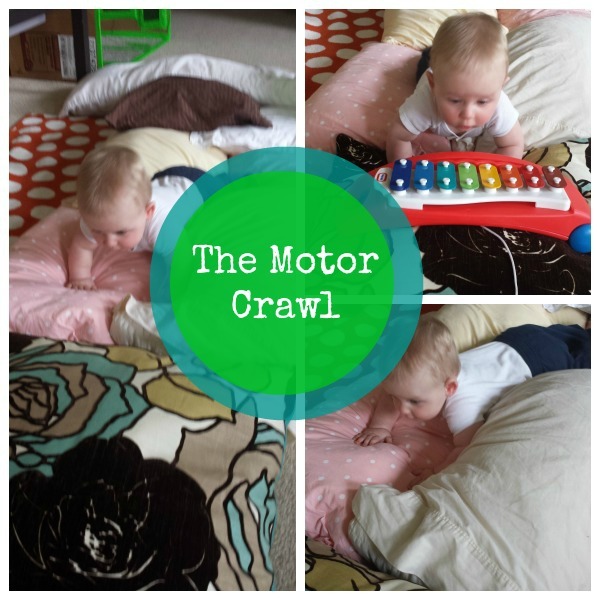 This activity works great for your crawler! Pillows- Any from around your house will do. A motivational toy or just someone at the end of the pillow course. Set up the course and let your little one crawl through it! Every once in a while my little guy will veer off course. If the toy in front of him is motivating enough he generally stays on course. 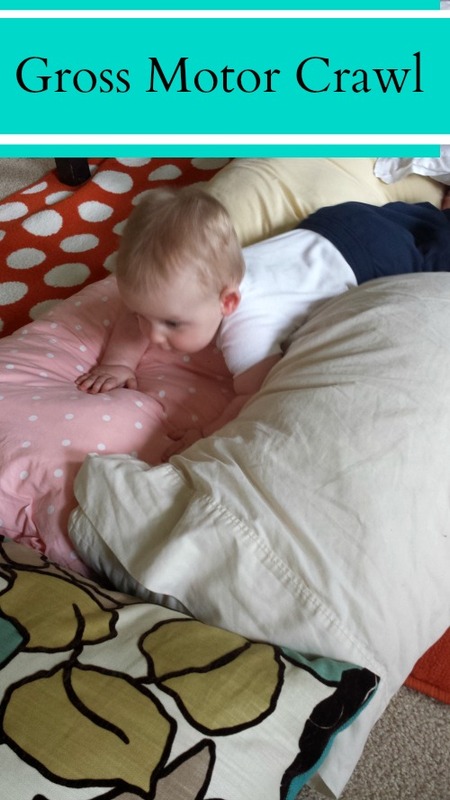 When he is crawling around on the floor on his own, he will sometimes just play in the pillows for an awesome sensory experience! Often times we will even get sound effects with the crawling when he is really working hard! What fun way do you like to play with your baby who is crawling? How old is the infant? This was quite a while ago but if my memory serves me right the infant is around 8 to 9 months!